Are you based in Aberdeen and have you just got a puppy? If so, one of the next things you’re probably thinking about is taking your new tiny friend to some obedience classes. 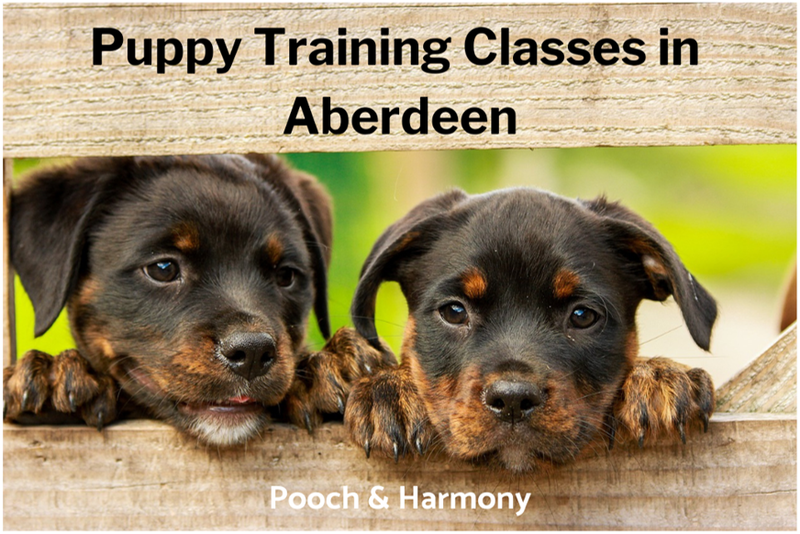 Below you’ll find 3 top providers of puppy training classes in Aberdeen. As soon as you take your new fur baby home, you’ll need to tackle an important step in their process or becoming a well-behaved dog – that’s obviously puppy training, and you can count on The DogSmith to help you out throughout the whole experience. Especially if you’re a first dog owner, you’ll soon be begging for some guidance, for the first few weeks in particular. The DogSmith professional staff will take your puppy into a program that’s most suitable to them and both of your needs. Tailored to dogs from 7 weeks to 6 months of age, you can be sure all the necessary skills will be developed and maintained. The packages offered include all of the essentials: house and crate training, no more biting, social skills and obedience commands. All of the training programs are designed to take only 14 days and you can either have the classes take place in your own home or the trainer’s. Each day, there will be something new for you and your pooch to learn and absorb – it’s intense, but so worth it in the long run and will not stretch out for months and months! You can contact DogSmith here – email, give them a call or fill out a request form to receive a complimentary phone consultation. If you’d like to get more information on the puppy packs, fill out an online form. The first few weeks of your puppy’s life are the most crucial when it comes to learning, so you better act fast if you want a well behaved dog companion! Billie from Positive Paws has been working and living with animals all her life, and is a certified and experienced animal behaviourist and trainer. She promotes kind and cruelty-free training methods, so you can be sure your pup with never be harmed or forced into anything during the classes. All of the different training courses offered by Billie take eight weeks and are led with natural growth and progression in mind – as your dog develops physically, they will be learning new things too! It’s all about communication, being able to socialise with other pups and people, as well as creating good habits and behaviours that can be maintained for the years to come. The classes are small – maximum 6 puppies at once – to guarantee lots of one-on-one attention and less stress for the doggies. Puppies up to 16 weeks of age can participate, but booking in advance is advised due to the intimate nature of training and limited spaces. At the moment, the puppy classes are scheduled for Monday and Tuesday evenings in Whiterashes, so make sure you clear your pet’s calendar for those days. Don’t worry, there will be lots of work assigned to you too – you will be given assessment sheets and homework to help your pup adjust and make the whole process easier for you and your family. If you’d like to get in touch with Billie, you can find her contact details here. There’s no shame in asking professionals for help with your new puppy – that’s what they’re there for, and they really do know best. If you’d like your pup to start learning manners and building a better bond with you as soon as they move in to their new home, Awesome Paws can definitely help with that and nip those naughty habits in the bud. The owner Denise is a qualified behaviour specialist, who has tried and tested her methods on many fur babies before – she’ll be able to tailor the training to your special friend’s unique personality. Puppy classes are held on Wednesday evenings and Saturday mornings, so it should be flexible enough to work around your busy schedule – whether you live in central Aberdeen or Aberdeenshire countryside. If you so desire, you can carry on with the training after the puppy course is finished. Denise offers different types of classes to tackle issues your dog might develop in adolescence or adulthood, or just improvement training to make them super dogs! Whatever happens, you always have a friend in Awesome Paws. Get in touch today and ask about additional information and availability – you can find the necessary contact details for Denise here. Do you know of any other puppy training classes in Aberdeen? Please tell us about them in the comments box below!